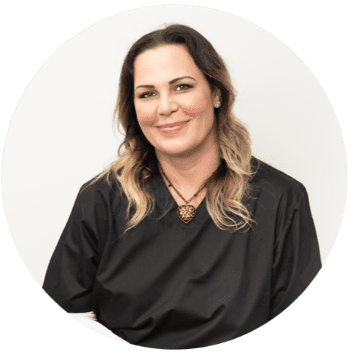 Rachel is a Licensed Clinical Aesthetician and Permanent Makeup Artist who has worked in the field of plastic and reconstructive surgery as well as clinical skincare and aesthetics for the last two decades. Rachel’s career began on Manhattan’s prestigious Park Avenue and has continued here in South Florida at some of the most elite medical practices in both Broward and Palm Beach counties. Rachel began her studies at the Trident Technical Institute where she studied surgical technology. Continuing her determination to expand her professional knowledge, she went on to study clinical skincare at The American College of Advanced Aesthetics. And for the past two decades Rachel has continuously been perfecting her skills in the field of aesthetics, clinical skincare and permanent makeup. Rachel is trained and certified in many state-of-the-artadvanced aesthetic and clinicaltherapies and technologies, as well as aesthetic and clinical permanent makeup techniques. In addition, she offers a range of scientifically proven healing and rejuvenation treatments to obtain optimal results for each of her clients. Her extensive experience in both the medical field and aesthetics makes her and ideal choice to help her clients attaintheir most exacting and uniquely individual goals. Rachel’s passion for her work combined with her experience, as well as being able to meet her clients individual needs always makes for the most impeccable results. This minimally invasive treatment is for all skin types and improves the overall appearance of the skin by stimulating deeper collagen formation thru tiny microchannels in the dermis. It treats such issues as fine lines and wrinkles, removes hyperpigmentation and resurfaces the skin. This treatment combines microneedling with the application of Platelet-Rich-Plasma from the patient’s own blood. PRP is rich in platelets and growth factors and stimulates the growth of new, healthy skin cells. It resurfaces the skin as well as remediessuch issues as acne and surgical scars by breakingup tissue bands and stimulating deeper healing. This treatment is for all skin types and includesa deep pore cleansing, diamond tip microdermabrasion, custom oxygen infusion and thermal massage which, increases circulation and kills bacteria. Finishing with a facial, scalp and upper body massage, this relaxing and revitalizing treatment will leave your skinfeeling hydrated, exfoliated and rejuvenated. This 30-minute treatment focuses specifically on the skins problem areas such as clogged pores and active acne. Deep cleansing and manual extractions,as well as other clarifying techniques and products willleave your skin feeling and looking healthier. A minimally invasive face and body procedure that uses manual exfoliation to remove dead skin cells, reduces the appearance of fine lines and wrinkles, minimizes pore size, reducessun damage and boosts collagen production which, firms and tones the skin. A facial treatment which removes dead skin cells and vellus hair, aka, “peach fuzz” leaving your skin brighter, smootherand with a more youthful glow.This treatment can be done on its own or in conjunction with peels or other custom facial treatments. Clinical chemical solutions are applied to the skin on the face and neck or body which, causeexfoliation superficially or deeply depending on each client’s individual needs. This treatment addresses such concerns as fine lines and wrinkles, hyperpigmentation and acne scars. The final results will leave your skin smoother, brighter and rejuvenated. This treatment is specifically designed to treat oily, acne prone skin and breakouts. Thru cleansing and custom infusion therapy this treatment hydrates, exfoliates and helps reduce redness, inflammation and future breakouts. This treatment is designed to protect, correct and boost the skin by strengthening capillaries and evening out skin tone using products aimed at calming irritation and decreasing the appearance of redness. A simple procedure that removes small, soft,benign, hanging skin growths on the face, neck and body. This treatment uses UV Free, specific wavelengths to boost collagen production, promote circulation, treat existing acne and kill bacteria to reduce acne as well as promote healing and accelerate skin recovery. RF Energy is used to heat the tissues of the face and neck which, stimulates subdermal collagen production in order to reduce the appearance of fine lines and wrinkle, as well as loose skin. A hair stroke form of permanent makeup that provides partially or fully camouflaged missing eyebrow hair with the appearance of simulated hair using fine deposits of cosmetic tattoo pigments. A cosmetic technique which employs tattoos (permanent pigment of the dermis) as a means of producing permanent enhancing makeup to the skin of the face, lips, eyelids and eyebrows as well as camouflaging scars and breast reconstruction. Strax Rejuvenation® has a broad range of services tailored to meet your specific needs. We offer Lap Band® surgery, Breast Augmentation, Liposuction, Facelift, Neck Lift, Hair Grafts, Eyelid Surgery, Vaginal Rejuvenation, tummy tucks, and much more. Non-surgical procedures include Dysport, Restylane, Juvederm, and more. Strax has everything you need to look and feel your best! Let us help you create a program that will renew your youth and vitality.